The all new AC Ace arrived in 1953, designed by talented AC engineer John Tojeiro. The Ace used the old 1991cc AC engine which it shared with the ageing 2 Litre model, although performance was still reasonable. 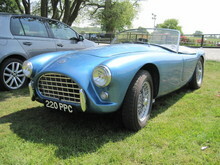 The cars distinctive body was produced in aluminium and looked similar to contemporary Ferrari models, it would also form the basis for the legendary Cobra in years to come. 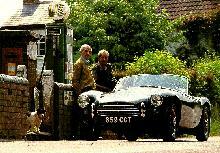 AC Ace is an automobile from AC Cars. The Ace featured a lightweight chassis with a Bristol six-cylinder engine with 3 downdraft carburettors producing 120 horsepower. 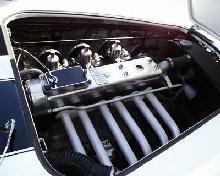 Due to its light weight (about 1650 pounds) and advanced suspension, the car had good performance and handling. The car raced at Le Mans in 1957 and 1958. 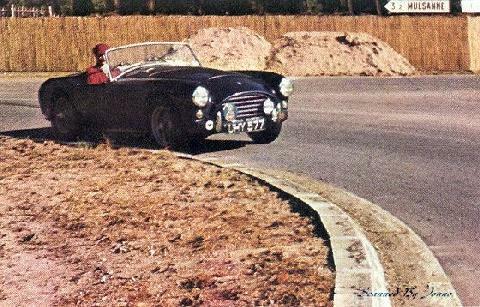 When Bristol ceased building their 6-cylinder engine in 1961 the owner, Charles Hurlock, was approached by Carroll Shelby to use a Ford V8 in the Ace chassis, producing the AC Cobra in 1962. Production of the Ace ended the same year. The ACE also was manufactured with an AC built 2 liter straight-6 engine with 3 sidedraft carburettors producing 100 horsepower. In the final years of productions some Ace models were fitted with the MKII Ford Zephyr 2.6 liter straight-6 engine. AC also produced a hardtop version of the Ace called the Aceca. 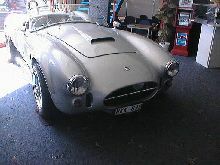 AC Ace replicas are much rarer than AC Cobra replicas, but they exist. 7' 6" 0' 0" 0' 0" 12' 9" 4' 11" 0 (20) 0' 0"